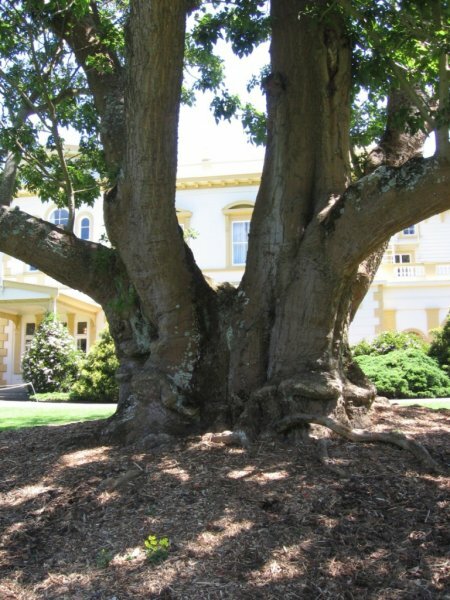 The tree is situated outside the old Government House. 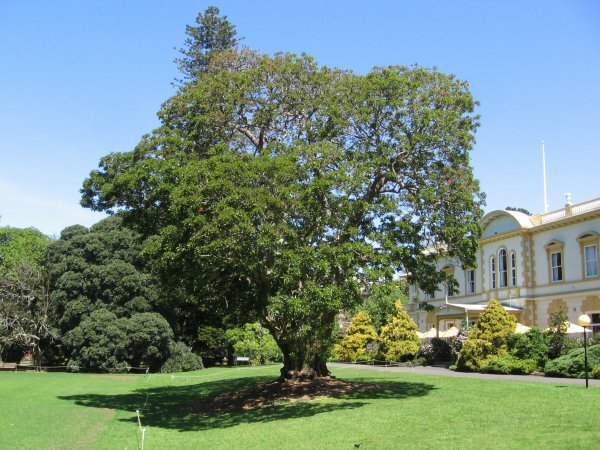 In 1861 Sir George Grey came back from South Africa to undertake his second term as Governor at which time he lived in the old Government House. In 1864 Parliament was moved to Wellington. 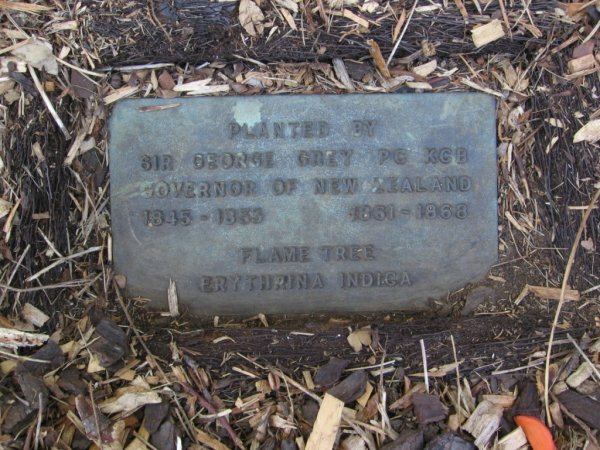 Sir George Grey would have planted the tree between 1861 and 1864. Cameron 1997. (See attached note on source 'Auckland and the decline and rise of Government House in Princes Street' by GA wood - Library reference 995.11 WG 7). 'Great Trees of New Zealand' Burstall & Sale, 1984, page 46. 'Planting layout 157' - Sheet no. AA 6234 Works Dept Grounds section. Cameron 1997. Burstall, S.W. (unpublished) 'Historic and Notable Trees of NZ'. Auckland Report No.16. page 42 - recorded as E. phlebocarpa. 'Fate of a Royal Couch'. Article in The Sun 15 October 1927. 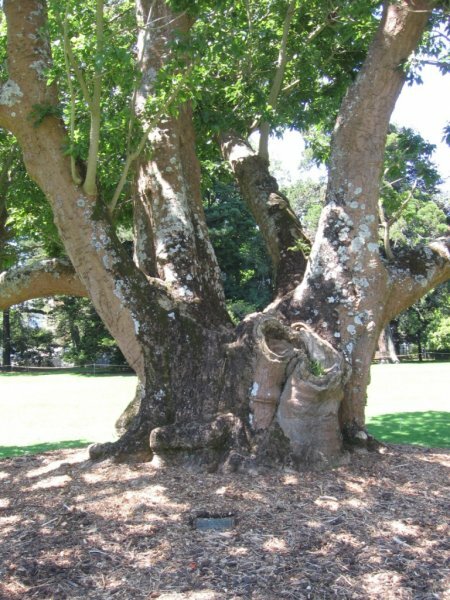 The brass plaque at the base incorrectly identifies the tree as Erythrina indica. Taken at the narrowest position below 1.4m. Appears in good health. The tree was not in full leaf at the time of visit. It appears the tree has lost a large limb in the past. This may explain why the tree is now heavily cabled. The tree appears single stemmed at the base and branches just above ground into 5 stems. 09 Nov 2010 Cadwallader, B.G. & Gould, B.C. 01 Jan 1997 Cameron, E.